A full turnkey solution–for temporary housing or temporary towns. 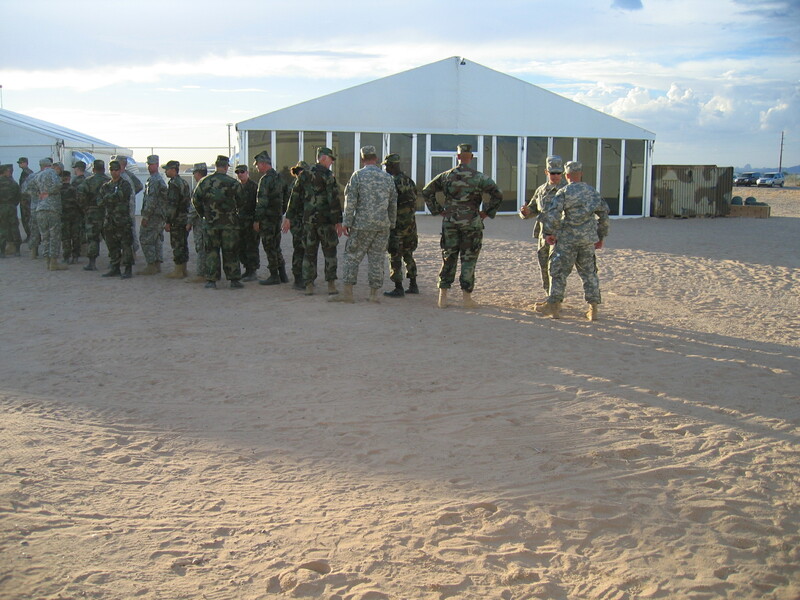 Base camps are not one-size-fits-all. construct base camps of all sizes. At Mahaffey, we understand the need for urgency in disaster relief operations. 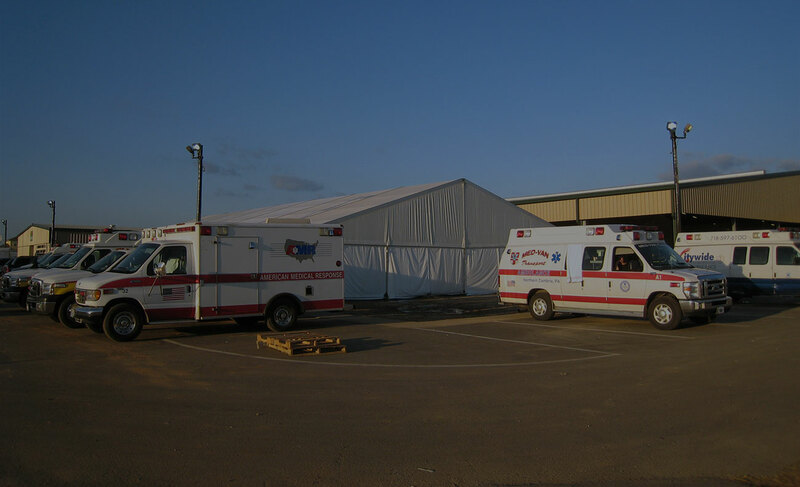 We often set up our crew and inventory just outside the impact area to allow for immediate base camp installation and construction following a disaster. We are known for being one of the first crews on the ground in the affected area. When partnering with Mahaffey, you are not alone in your response efforts. Learn more about our emergency response capabilities. 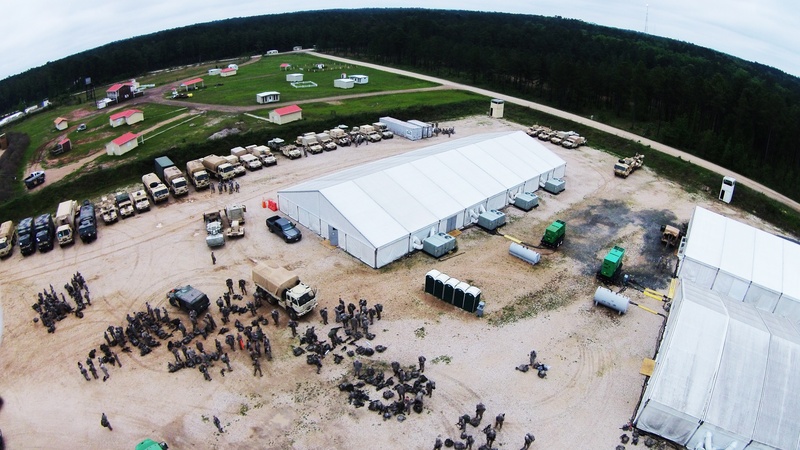 Mahaffey specializes in the rapid deployment of temporary housing for military, industrial and disaster relief efforts. 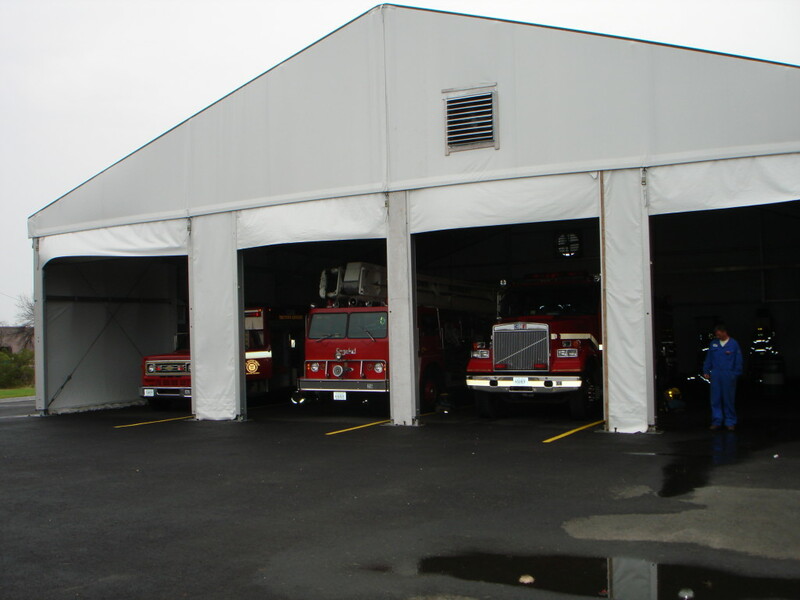 Billeting solutions include pole and frame tents as well as clearspan structures. Optional accessories include elevated flooring, lighting systems, climate control, gender separation, power generation and distribution and fire protection equipment. 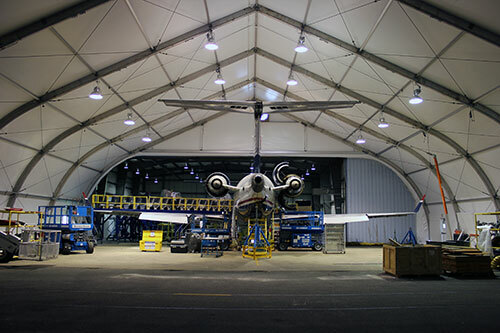 With the option of an insulated or simple pipe and drape wall system, individual rooms can be placed within the structures. Mahaffey can also supply cots and bedding kits, which include sheet sets, blankets, pillows and towels. 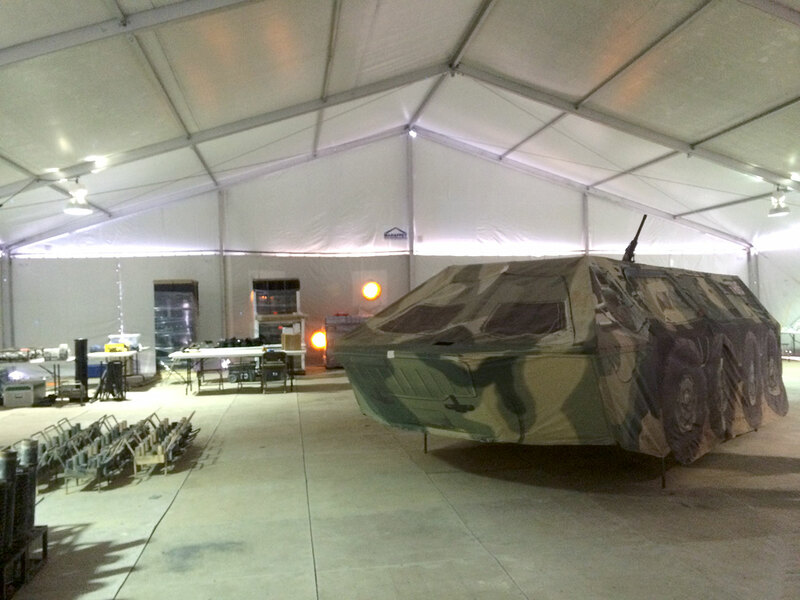 Many training missions require covered shelter for vehicle maintenance facilities. 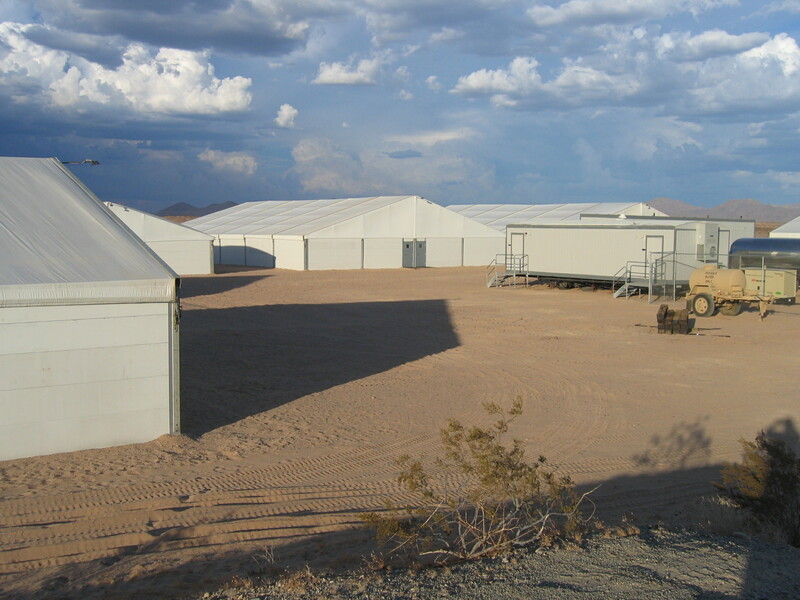 Mahaffey's temporary warehouses, equipped with extra high sides and 16' wide doors, allow even the largest military vehicles to enter and exit with ease. On unimproved surfaces (or muddy fields), Mahaffey uses Bravo-Zulu flooring. These plastic composite panels have been used and abused by the heaviest off-road machinery, and serve as the ideal floor for vehicle maintenance shelters. 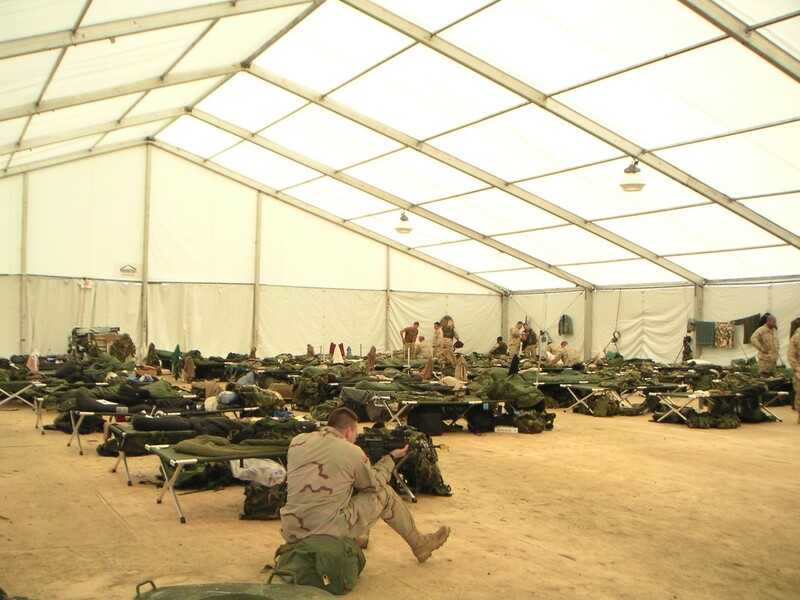 Incidentally, Bravo-Zulu flooring comes in 4' x 4' panels that have also been assembled for use as outdoor staging areas, walkways and roadways and even aircraft landing pads.